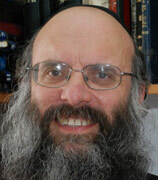 Nov 18, 2014 - Rabbi Moshe Twersky, 59, of Jerusalem was killed when two terrorists attacked worshipers in a synagogue of the Har Nof neighborhood in Jerusalem the wielding axes, knives and guns. At 7: 00 on Tuesday morning, two terrorists wielding axes, knives and guns entered the Kehillat Bnei Torah synagoguge on Harav Shimon Agassi Street in the ultra-Orthodox Har Nof neighborhood in Jerusalem. They began attacking worshipers, stabbing them before opening fire. About 30 worshipers were in the midst of the morning prayers, wearing prayer shawls and phylacteries. Four people were killed in the attack, among them Rabbi Moshe Twersky, head of the Torat Moshe Yeshiva in Jerusalem. Rabbi Twersky was a native of Boston who immigrated to Israel 25 years ago. He lived next door to the Kehillat Bnei Torah synagogue where the attack took place and prayed there regularly. Moshe Twersky was the elder son of Rabbi Isadore Twersky of Boston, founder of Harvard's Center for Jewish Studies, and a grandson of leading Modern Orthodox rabbi Joseph B. Soloveitchik. The Torat Moshe Yeshiva was one of the first established in Israel to cater to post-high school students from English-speaking countries. His wife is the daughter of the late Rabbi Abba Berman, and runs the Hadar Seminary for Women in Jerusalem. Rabbi Moshe Twersky was buried in Jerusalem’s Gival Shaul cemetery. He is survived by his wife Miriam and five children - three sons and two daughters.